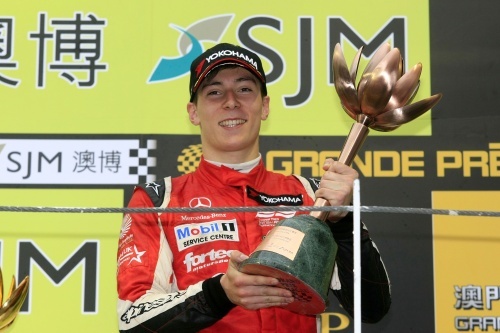 SuperStar Alex Lynn caused a sensation by taking pole position and finishing on the podium on his debut in the Macau Formula 3 Grand Prix. Among what was regarded as one of the best fields of junior international racing talent ever assembled, Alex became the first man since current Formula 1 star Kamui Kobayashi in 2006 to take pole as a rookie on the challenging street circuit. He went on to finish third in both the qualification race and the main race in his Mercedes-powered Fortec Motorsport Dallara. Alex will now get a couple of weeks off before beginning his testing programme in December in preparation for the FIA European Formula 3 Championship in 2013.